November is by tradition the month when we pray for the dead. 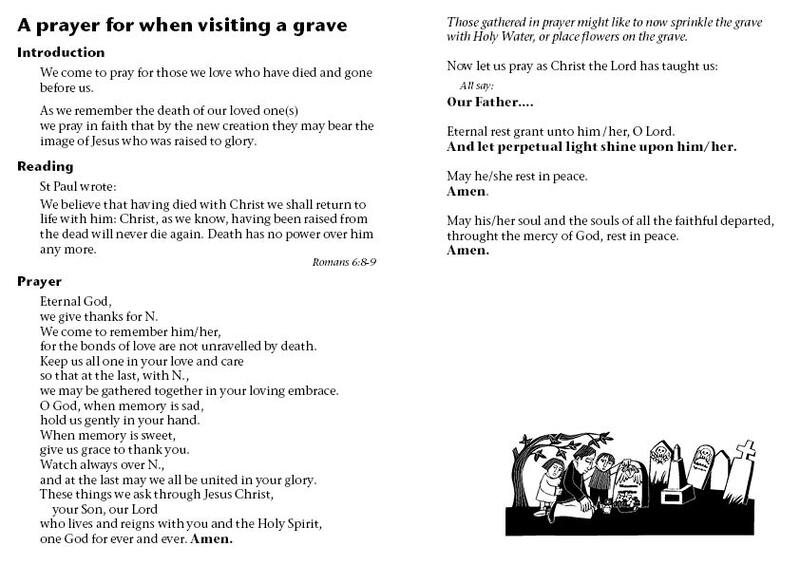 It is a long standing tradition to take special care to pray for the dead during November, commending the souls of the faithful departed to God’s love and mercy, that they may be best prepared for heaven. It is also a custom to visit the graves of family and friends and pray for them there. This entry was posted in Featured by frallen. Bookmark the permalink.